Dr. Dilek Colak, a postdoctoral associate in Weill Cornell pharmacology professor Dr. Samie Jaffrey’s laboratory,was selected as a finalist in life sciences for the Blavatnik Regional Awards for Young Scientists from the New York Academy of Sciences. 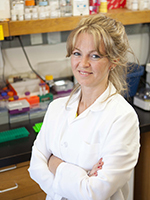 Dr. Colak is one of nine scientists from the tri-state area to be honored by the academy. The Blavatnik Regional Awards recognize and celebrate distinguished postdoctoral associates whose work in life sciences, chemistry, physical sciences and engineering are innovative and promising. Dr. Colak will receive an unrestricted $10,000 cash prize and an award medal — made possible by the Blavatnik Family Foundation — during the academy’s annual gala on Nov. 10. "I am of course very happy and feel privileged," said Dr. Colak, who’s worked with Dr. Jaffrey for the past five years. "To be chosen from the nominees from all the excellent schools in the New York area, I feel very honored." There were 221 nominations submitted by 32 institutions in New York, New Jersey and Connecticut for this year’s competition. The New York Academy of Sciences, along with a panel of 42 judges named three winners and six finalists. In addition to the regional awards, established in 2007, the academy launched a national program this year to honor three faculty-rank scientists and engineers from around the country. Weill Cornell Dean Dr. Laurie H. Glimcher was among the judges who selected the national winners. Dr. Colak received a Bachelor of Science degree from Hacettepe University in Turkey and a doctorate in neuroscience from Ludwig Maximillian University in Germany. 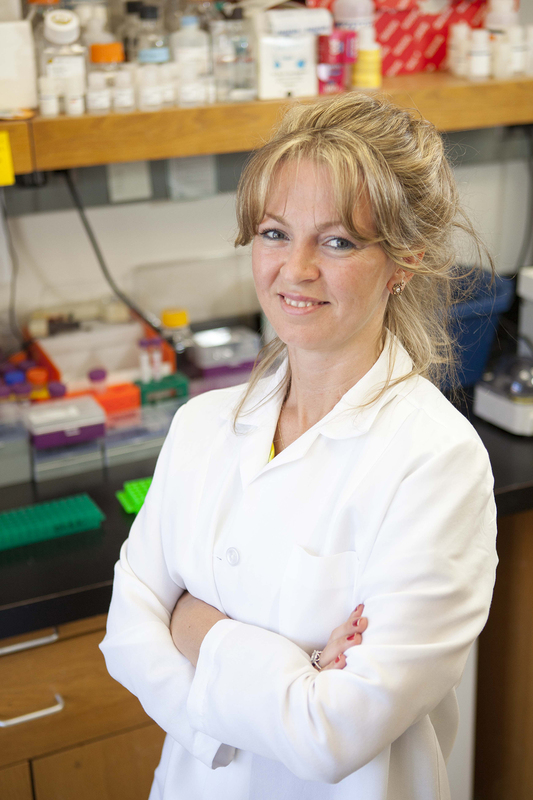 She had read a number of Dr. Jaffrey’s papers on RNA biology while completing her doctorate, and was so inspired by his work that she was determined to work with him for her postdoctoral training. Dr. Colak is investigating the mechanisms that cause neurodevelopmental diseases, such as autism, mental retardation and schizophrenia. These diseases are especially hard to study, since the genetic mutations that researchers believe to be the root cause are not found, nor can they be mimicked, in animal models. Using human embryonic stem cells and patient-donated stem cells, Dr. Colak has been able to study these diseases at the cellular level. She most recently used this investigative method with fragile X syndrome, a genetic form of mental retardation and autism. She discovered that fragile X occurs because of a mechanism that shuts off the gene associated with the disease. She was first author for the article, published last winter in Science. She is now applying for tenure-track faculty positions. "I want to set up my own lab that uses patient-derived cells to uncover molecular mechanisms of schizophrenia and autism," Dr. Colak said. "If Samie Jaffrey told me five years ago that I would win such a prestigious award, I would not have believed it," Dr. Colak said. "But these five years at Weill Cornell have been such an amazing experience, and I learned a lot from him and my colleagues at Weill Cornell. I have always been interested in challenging questions and novel ideas, but he encouraged me really work on them and actually solve these mysteries and make breakthrough discoveries."